Harbin Group Day Tour to Winter Highlights Including Lunch - HARBIN ICE AND SNOW FESTIVAL GROUP TOURS - Harbin Ice and Snow Festival English Speaking Small Group Tours, Harbin Winter Clothing Rentals ,Harbin City Group Tours, English Speaking China’s Snow Town Small Group Tours, Coach or Bus Tours, Harbin, China. 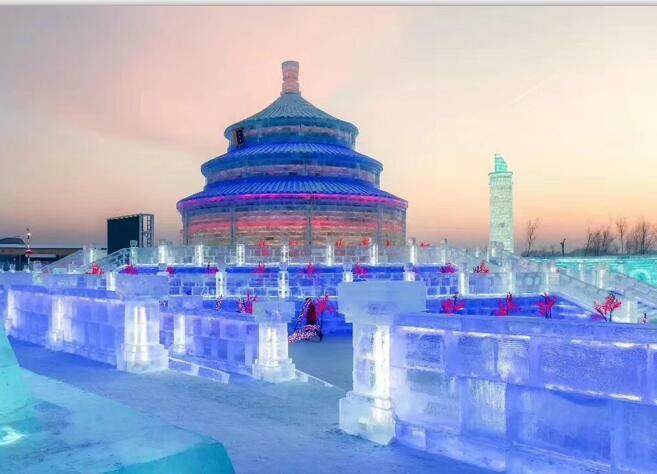 Harbin is the most attractive season is winter, beacause the world people know about international ice and snow festival, so Join our full day small group tour to see Harbin's best hightlights in winter season : Harbin Ice and Snow World for Ice Festival. Harbin Sunisland for Snow Festival(Harbin Snow Fair) and strong Siberia Tigers. these 3 attraction entrance tickets, lunch, trnasportation and local English speaking tour guide are inclusive. Join small group day tour, minimum is 1 people , maximun is 10 people, you will be picked up from Harbin city hotel lobby, 9:30am finish pick up, then transfer to siberian tiger park, will stay 90 minits there, then continue to Sunisland for snow fair will visit 90-100minutes here, then lunch for break, at last go to Harbin Ice and Snow world for Ice Festival, you will enjoy day and night together. 7:00 pm finish group tour, at last transfer back to your hotel. For your group tour, includes snow festival entrance tickets, ice festival entrance tickets,sibertian tiger park entrance ticket, hotel pick-up and drop-off. transportation and English and Chinese speaking tour guide,Lunch Join group tours. not incude entertaiment activies fee, personal cost.